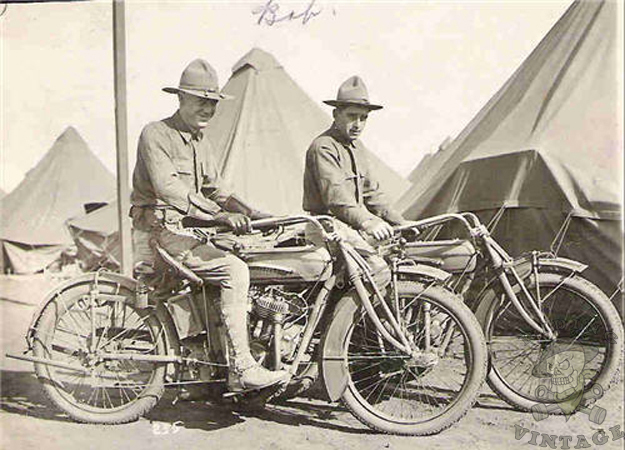 When the United States entered World War I in April of 1917, they brought motorcycles from several US companies to help on the front lines. 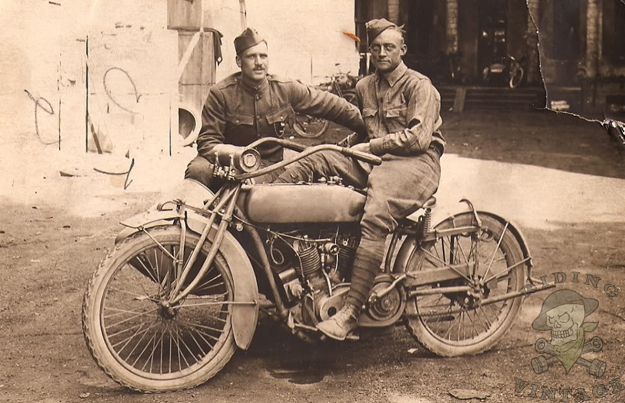 The bulk of the motorcycles came from Indian and Harley-Davidson, but motorcycles produced by Excelsior, Henderson, and a few other US manufacturers also made it to Europe. 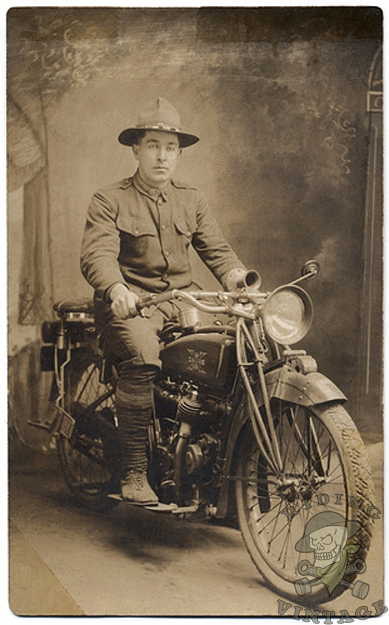 Indian devoted most of it's production to the war effort, building almost 50,000 motorcycles for the US Military. 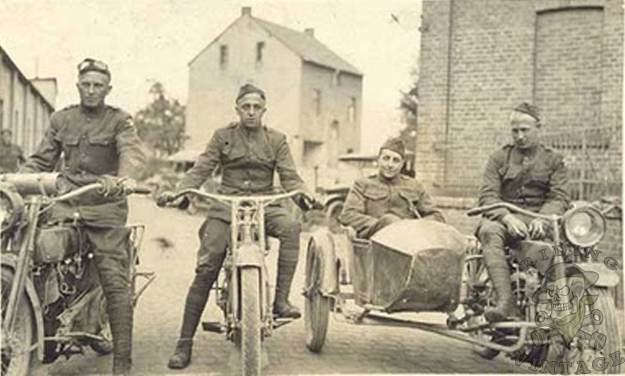 Harley-Davidson also upped production, delivering over 20,000 motorcycles to support the war. 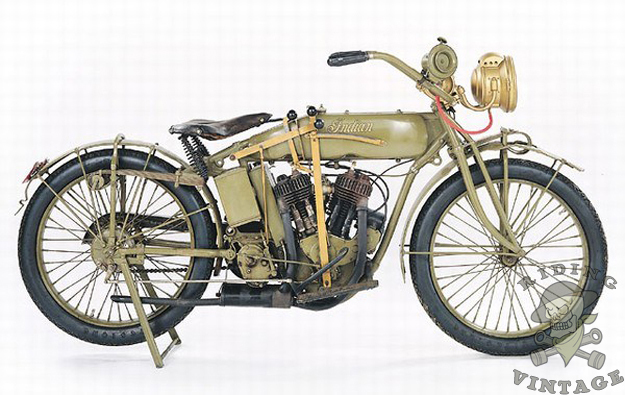 The Indian military model was based on their new PowerPlus Big Twin. 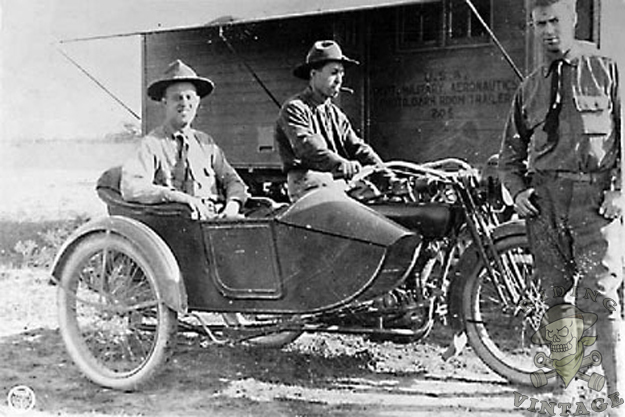 It featured a 61 cubic inch side valve motor which produced 18 horsepower and could reliably carry the motorcycle at speeds of 60 mph. 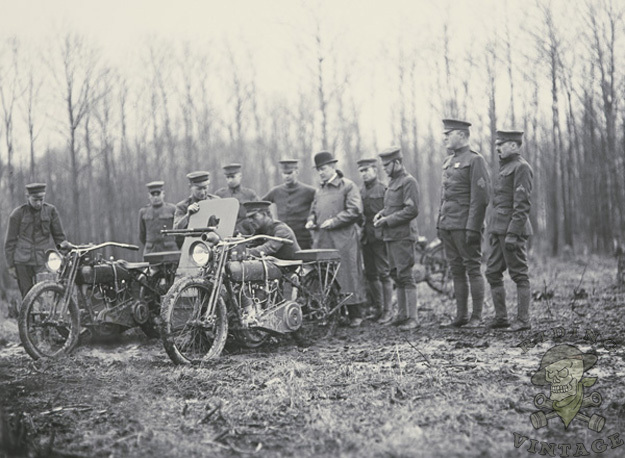 The engine was mated to a three speed hand shift transmission and the drive train was mounted into a frame with both front and rear suspension. 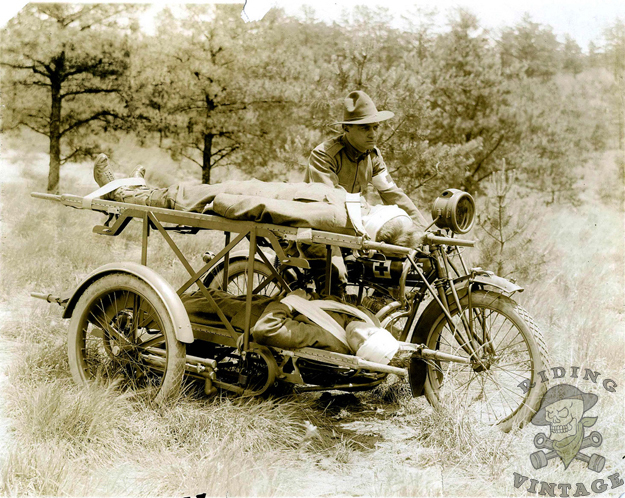 Lighting was handled by a gas headlamp and there was even a rear brake just in case you needed to stop quickly. 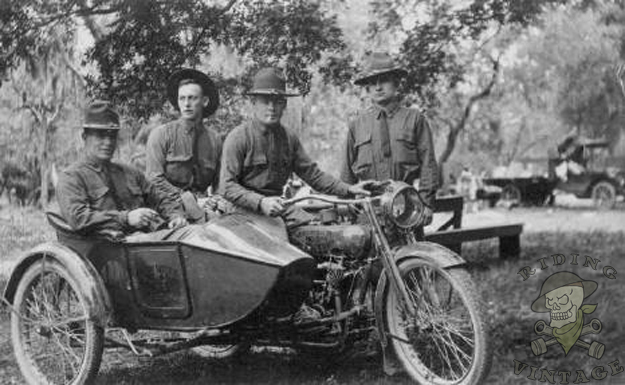 Harley-Davidson based their military model on the their J series motorcycle. 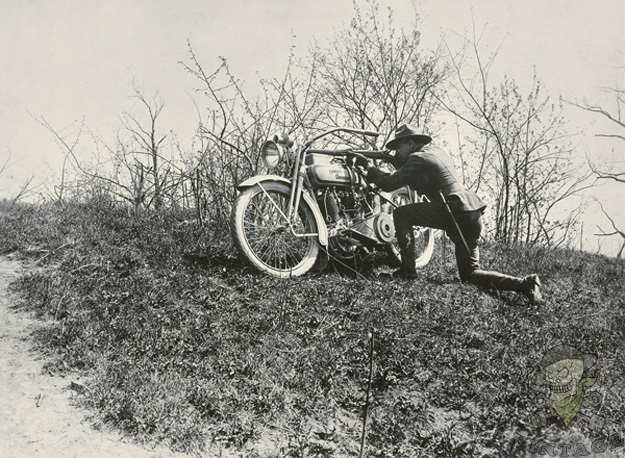 It used a 61 cubic inch F-head motor which produced 15 horsepower, putting it below the Indian in terms of power. 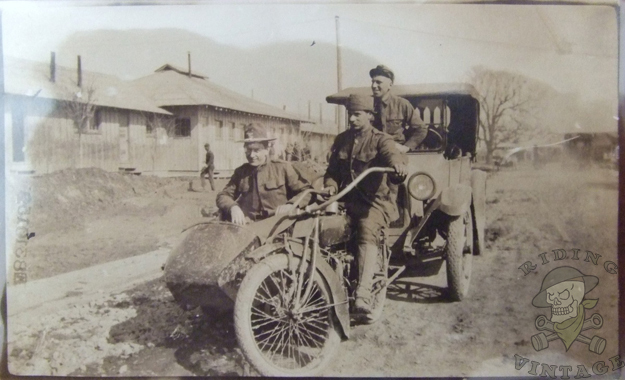 It also used a three speed hand shift transmission and a frame with front suspension. 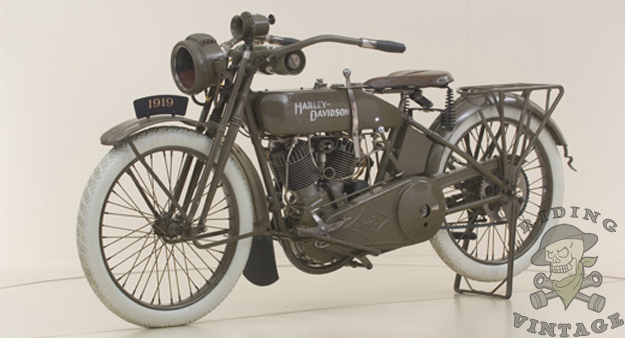 Like the Indian PowerPlus, the electric headlamp used on the civilian model was replaced by simpler gas version and only a rear brake was mounted for stopping the motorcycle. 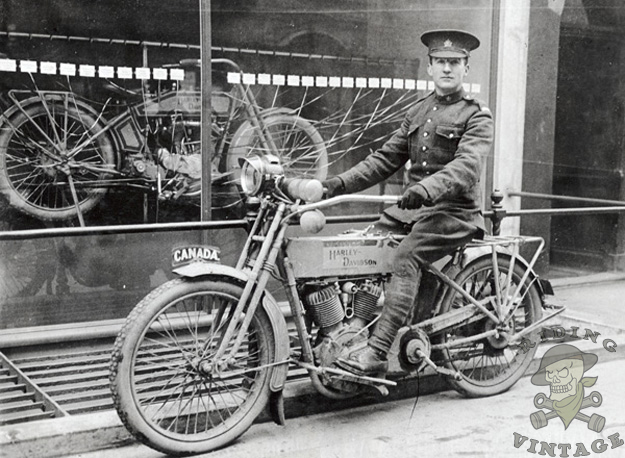 Unlike the WLA's which would be used exclusively as dispatch motorcycles in WWII, the motorcycles of WWI saw action on the front lines. 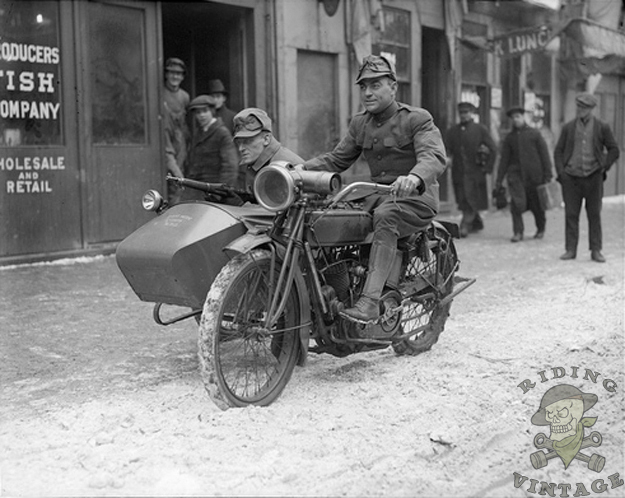 Motorcycles were outfitted with various sidecar mounted machine guns and placed together in motorized units called "Motor Mobile Infantry". 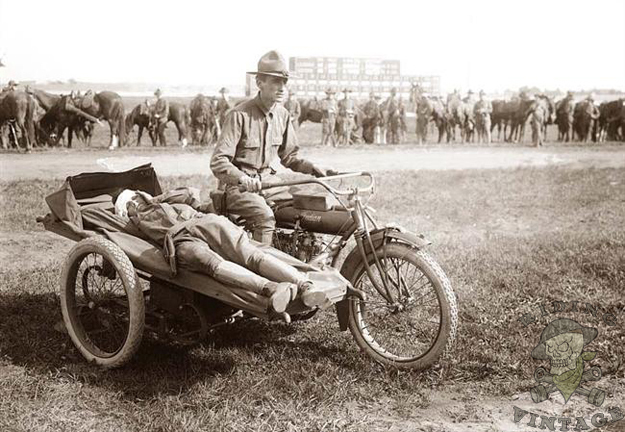 They were also converted into ambulances, able to carry one or two wounded soldiers on stretchers adapted to sidecar frames. 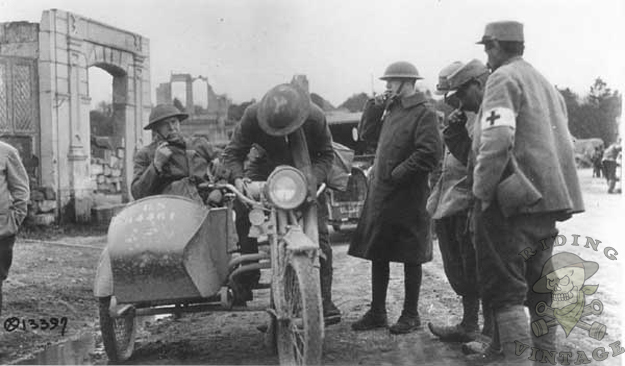 Like the WLA's they also were used to lead convoys, dispatch messages and general transportation behind the front lines. 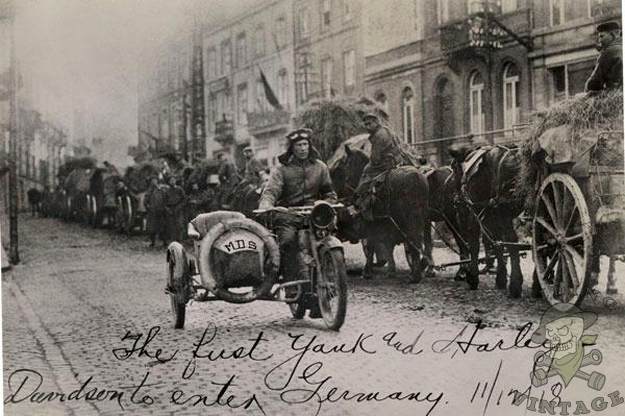 This photo actually depicts Corporal Holtz leaving Germany. 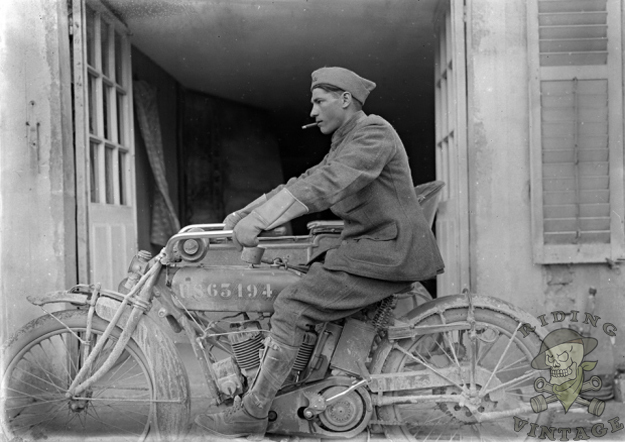 He was captured the day before the Armistice and released immediately after it was signed. 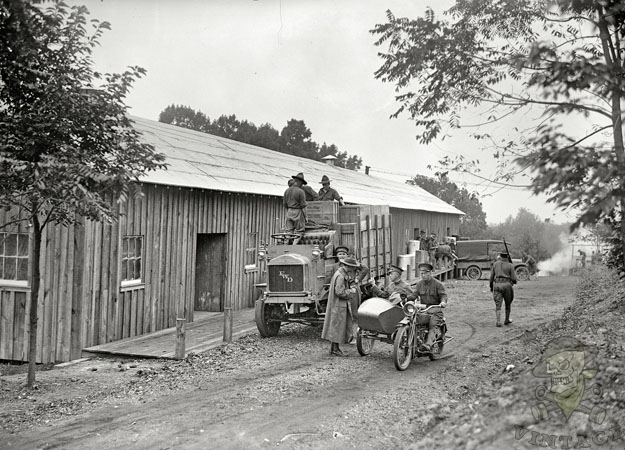 Newspapers back in the US wrongly printed this picture as the first US soldier to enter Germany after the surrender, but in truth, Hotlz was leaving Germany to get back to his unit.